On August 21, 2018 August 27, 2018 By Genki JasonIn Japanese Film Trailers. I occasionally write about the odd film screening outside of festivals when something I grew up with will get played and there are two titles which will be screened in New York in September and October that are dynamite. This song is so well-known in Japan that I could sing it in a bar and get a chorus going. 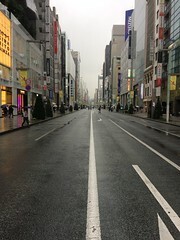 This film is also super-popular inside and outside of Japan. Nobuhiro Yamashita, his familiar writing partner Kosuke Mukai along with Wakako Miyashita craft a charming drama with an infectious song at its core. I’ll review it one day. Synopsis: A high school is about to stage its festival and am all-girl band who hope to perform finds itself falling apart when members depart. Those that are left scramble to fill in the empty slots and a Korean exchange student named Son (Doona Bae) finds herself being asked to provide lead vocals. Their mission is to master the 1987 hit song “Linda Linda” by Japanese punk band The Blue Hearts and their performance is truly something to enjoy. I love this film. I reviewed it years ago. 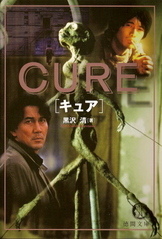 It is part of Kiyoshi Kurosawa‘s Apocalypse Trilogy (reviews: Cure, Charisma, Pulse) which features creeping dread building up due to injections of subtle horror into a police procedural format until it reaches a fantastic finale that I find myself thinking about every so often. I’m still operating off of an old DVD version and need to get the Masters of Cinema release. Synopsis: Detective Takabe (Koji Yakusho) is investigating a rash of gruesome murders in which a large X is found carved into the base of each victim’s throat. They happen to random people at random places in Tokyo and the only link between them seems to be a drifter with amnesia who possibly possesses hypnotic powers. The more Takabe investigates, the more he finds himself influenced by the suspect and his own mind changing over time. Linda Linda is one of my favorite movies. I own it on DVD! It’s a great film! It’s easy to put it on and just enjoy it without a second thought.